This time last year I was two weeks into a new adventure— film. 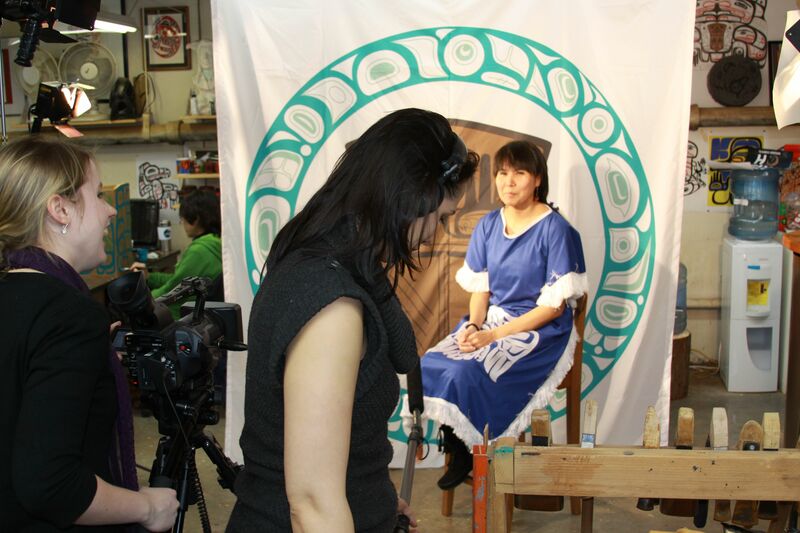 I signed up for a video production class called First Nations Film Topics at the University of British Columbia. And, with that, I launched into a four-month crash course in movie making. I teamed up with Mique’l Dangeli to produce a short film on the Git Hayetsk, a First Nation dance group led by Mique’l and her husband, Mike. We became very familiar with lights, cameras, boom microphones and video editing. I gained a greater appreciation for the art of film, and camera buttons. Last year, Shannon Jones and Bryan Dyck started Broadfork Farm on leased land from Windhorse Farm. To hear their story, check out Growing Life Audio/ Visual Docs. I recently experienced a déjà vu moment online. There’s an audio interview with author Nicholas Delbanco related to his new book Lastingness: The Art of Old Age on NPR’s website. This All Things Considered interview is included alongside an article that’s based on parts of the conversation, as well as an excerpt from Delbanco’s book. The work is titled ‘Lastingness’: The Creative Art Of Growing Old. While listening and skimming through the text, I realized online packages can provide a virtual cultural experience. The radio piece constructs an intimate space between the host, guest and listener that reminds me of the Vancouver International Writers Festival. Host Robert Siegel questions Delbanco about why he wrote this book, which is focused on the creative work of famous artists in their later years. Delbanco responds with answers that are somewhat personal, as he’s a 68-year-old writer. Delbanco’s words reveal wisdom that comes from experience, and this adds a layer of depth when he talks about the tensions between being a young versus an old artist. And then there’s the artist statement, a.k.a. the short article based on the interview. Reading this article is like sifting through an artist leaflet. It summarizes main points of interest in Delbanco’s work, and picks out important quotes. But wait, the highlight of the event is yet to come: the excerpt. This piece reveals Delbanco’s reflective way of thinking and writing. He writes that artists “leave evidence behind of having grappled with mortality” in their late stages of life. His interests in lastingness and legacy are also revealed. “Our generation, like all others, yearns to produce some something that continues — and the generative impulse, when artistic, lingers on,” Delbanco says in the excerpt. This package shows journalism informs the public on cultural topics, but also helps to form cultural practices too. 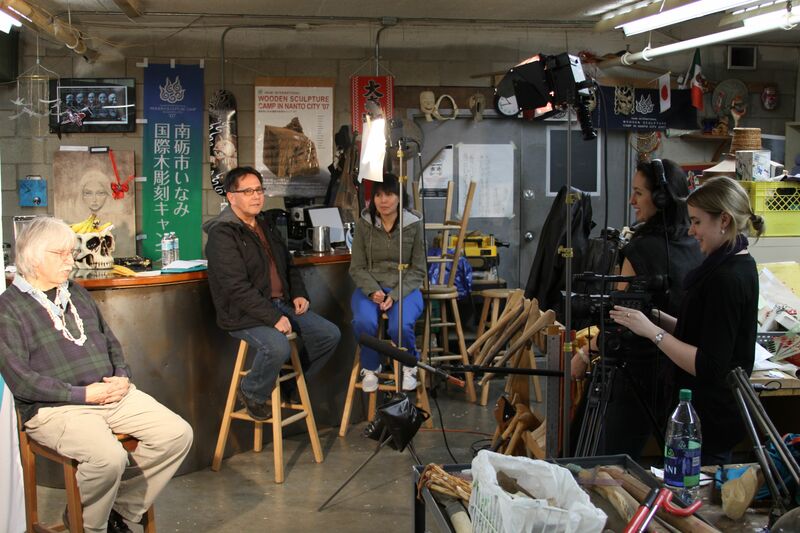 With this bundle on Delbanco, reflecting on aging and art becomes an educational experience. I’ve always associated the words “blossom” and “festival” with the Annapolis Valley Apple Blossom Festival, thanks to my Nova Scotia roots. I went to Sakura Days Japan Fair at the VanDusen Botanical Garden, which is part of the Vancouver Cherry Blossom Festival. Families, performers and plenty of photographers filled the garden. Here’s a selection of photos I took, and a few from downtown.